Long gone are the wasted hours when visiting a New York State Department of Motor Vehicle office. Or making sure you had something else at hand to do when calling the DMV, as you wait on hold for someone to answer. Now, the majority of services needed by the average driver are available online. Sure, you may still have to visit an NYS DMV office for some things such as getting a learner’s permit or an NYS driver’s license. But now there are options to that local visit. See the above list for New York DMV Offices. 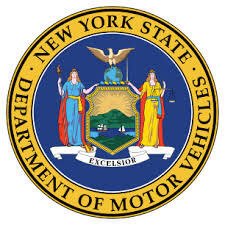 The New York State Department of Motor Vehicle has an easy to navigate website. You can change your address, renew or replace your license, replace a title, and, of course, pay traffic violation tickets. You can even register to vote. Across the top of the page are tabs. When you click a tab you will see either a drop down menu or be taken to a page with easy to read questions and answers. There is information for both consumers and businesses. Want to surrender your plates? Of course, you can still go into a local NYS DMV office but now you can also mail them. And you’ll find the address on the website. You’ll see information on insurance, custom plates, and commercial driver’s license. Forms are now available online. And you don’t need to go to an NYS DMV office for your eye exam. On the website, click on the link, type in your zip code and you will find a list of opticians where you can get your eyes examined. While there may be a fee, unlike at the DMV office, you may feel that the cost of your time is worth the fee. Another nice feature of the NYS DMV website is a sidebar on many pages with clickable links to related information. While not a direct function of the NYS DMV, several counties in New York have a van that provides routine DMV transactions. They visit set locations, typically town halls, on set days and at set times. In Monroe County, you can renew a license, take the written test for permits, renew a registration, and surrender plates. The mobile unit in Ulster County visits five towns, one each day of the week. You can renew your license, get a learner’s permit and non-driver ID, and process vehicle registrations.